Stanford Inn - vegan travel! Vegan travelers rejoice, there’s an all vegan eco-resort in Mendocino, CA! 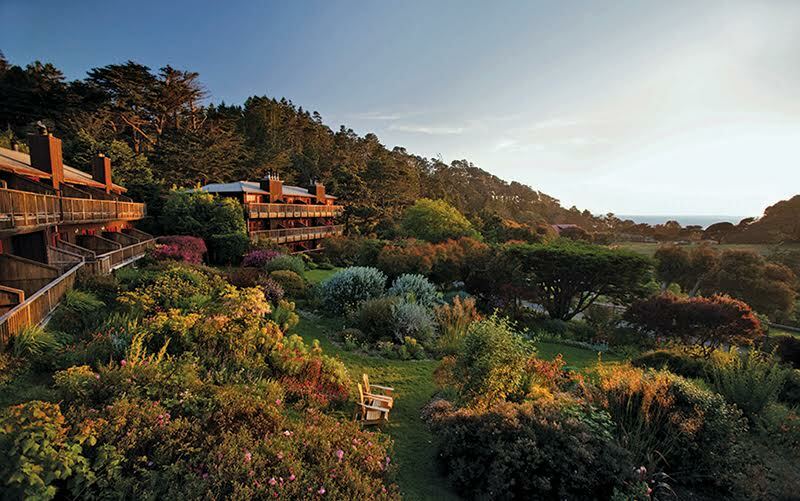 Just a few hundred miles north of San Francisco and a scenic 3-hour drive up the coast, The Stanford Inn awaits. This Stanford Inn was founded in 1980 by husband and wife Jeff and Joan Stanford. Their mission is to “excite their guests about life.” Beautiful. And they do. The property hosts organic gardens, an animal sanctuary (with llamas!! ), a canoe landing and beautiful walks through the gardens. It’s a peaceful, romantic, grounding getaway with massage and spa treatments, cooking classes and nutritional counseling. All of this with vegan tea time and meals! Companion animals are welcomed as part of the family so you can bring your whole family on vacation. The award winning Ravens’ Inn serves breakfast and dinner. All of the ingredients are organic and grown on the property. Don’t miss the mid-afternoon tea time from 3:30 – 4:30 (for Inn guests only) with half off cocktails and desserts! Then enjoy happy hour with the local community until 6:00. Breakfast is included for all Inn guests with many gluten-free options. One of my favorites was the gluten-free waffle topped with berries! I was able to enjoy all the fabulous meals with my friend Michelle Cehn from World of Vegan. She made this incredible video about the Stanford Inn that captures some of the yummy food! Mendocino hosts plenty of activities for single travelers and families. Vineyards: Yorkville Winery is a completely organic vineyard about a 60 minute drive from the resort. Vineyards in general start about 20 minutes from The Stanford Inn and continue through the Anderson Valley. Brewery Gulch Drive follows old highway 1 along the bluffs of the eastern edge of the Mendocino Bay. Beginning at the Inn, the roundtrip is about 2 miles. If you take this walk around sunset, you may see the green flash over the ocean! Big River Haul Road follows the northern shore of Big River. It’s 8.5 miles of rustic, lush beauty. Cross Bog River Bridge by car, take the first right turn and drive down to the beach. Park and start your adventure by walking east and going through the gate. The Inn can suggest other walking trails in the town of Mendocino and for biking. The Stanford Inn offer hand-made, totally unique custom redwood outrigger canoes for rent so guests can explore the Big River. They’re truly one-of-a-kind. There are even canoes fitted for your favorite canine friend! Bicycles are available as well. Pamper yourself with spa treatments enjoyed literally in the middle of the forest. The back of the spa is surrounded by glass windows that showcase old growth trees and beautiful nature of the forest. There are many other activities offered by the Inn including yoga classes, cooking classes, nutritional counseling and acupuncture. And best of all, the grounds itself offer a very special energy that helps guests relax, rejuvenate and regenerate. I was lucky to get some time with Wellness Director Sid Garza-Hillman to share information about the services offered at the center. What an incredibly cool place! The Stanford Inn truly is a unique getaway experience. I hope you’ll get to experience this hidden gem when you’re in northern California. 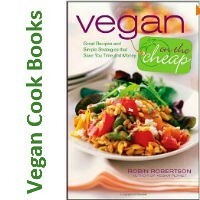 Rebecca Gilbert is the founder of Yummy Plants and the author of It’s Easy to Start Eating Vegan. She’s a world traveler whose passion is to combine two joys: to share the joy of vegan food and to connect vegans all around the world. Rebecca is a former competitive figure skater whose switch to a vegan diet healed her chronic joint pain. 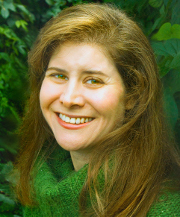 She has been a featured speaker at the San Francisco World Veg Festival, Vegetarian Summerfest, and Paris Vegan Day.